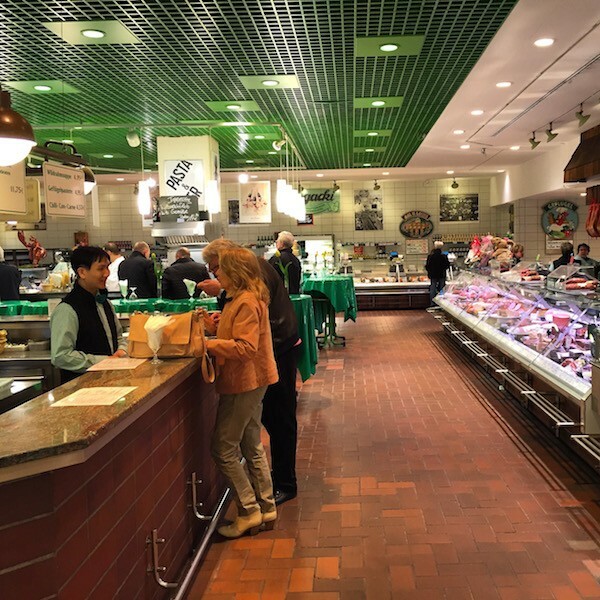 Rogacki German Deli is a must-visit for foodies. We first came into contact with this place through and Episode of Chef Anthony Burdain‘s “No Reservations” Series. 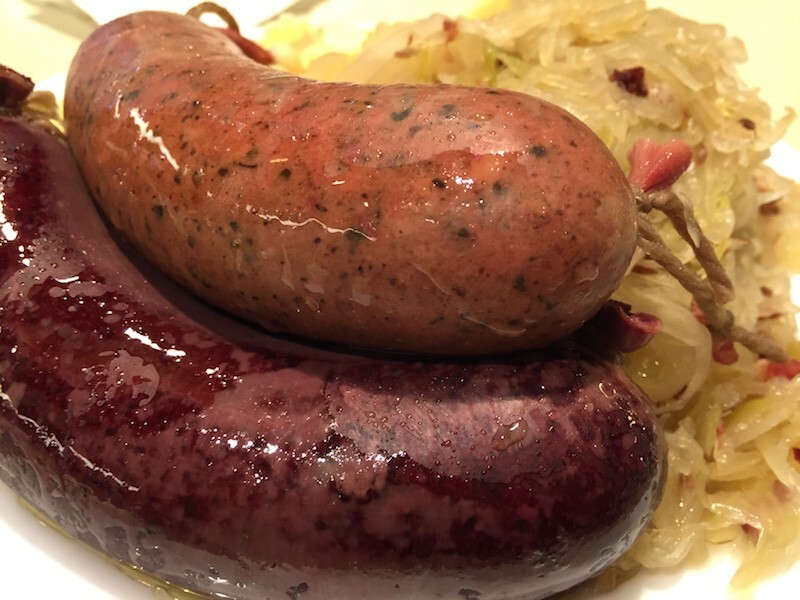 In this episode the Chef describes his meal at Rogacki as the “most exciting German meal he has ever had”. WOW! 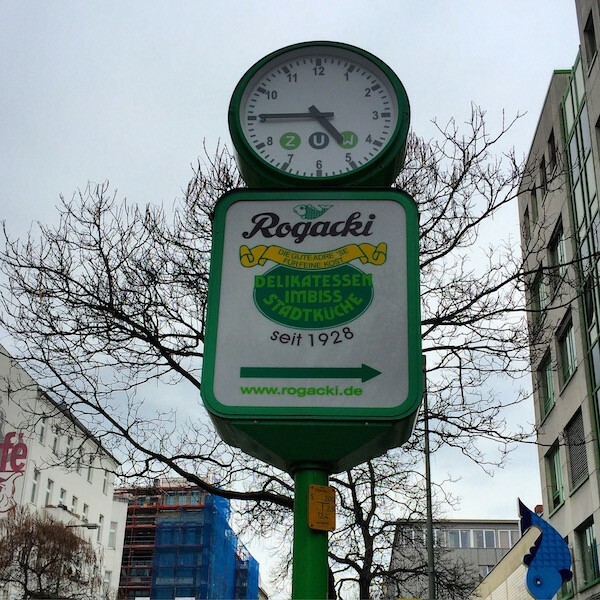 Located in one of Berlin’s most traditional (and between you and I, not so exciting) western neighbourhoods, Rogacki certainly is enough reason to come here (that and the Thai Park). To get here take the U1, U2 or U7 to Bismarckstrasse Station. You are sure to be overwhelmed with the over 150 kinds of cheese, 200 varieties of cured and fresh meats, bread, poultry, sausage, cured and smoked fish, dips, salads. Each food type with its own counter. Try to go in a group and sample as much food as possible, from as many food groups as possible. Be adventurous. 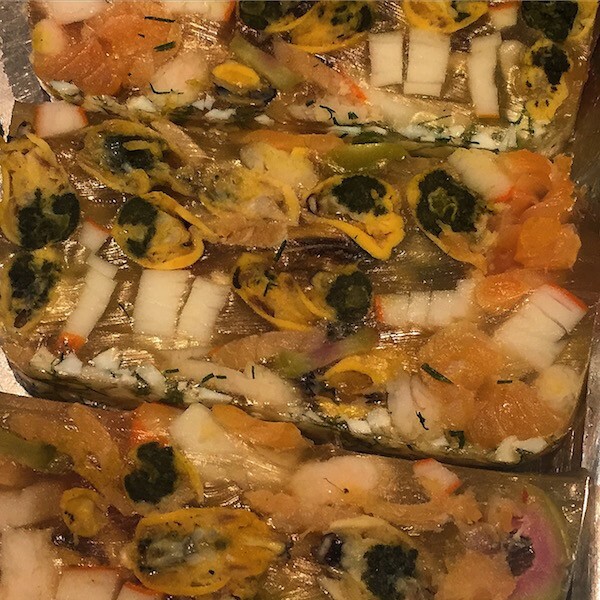 We always surrender to the liver and blood sausage plate, the selection of cured, smoke and fried herring and as many different “Head Cheese” (kind of terrine) versions you can get. One interesting fact about Rogacki is that it occupies the space of an old Stable. And this place has been around since 1928. The staff is attentive and efficient (they have to be as they serve close to 2000 meals a day). However, most of them do not speak English, so pointing to the food is a good strategy. The crowd is a mix bag of foodies, “of a certain age” locals and some “in-the-know” more adventurous tourists. We find it very interesting beyond the amazing food selection. It is a great place to get in contact with a different side of Berlin’s food culture. Be prepared to eat while standing. They offer standing tables and places to sit outside (during the warmer months). One can make reservations for the standing tables (fun!). A trip here can be combined with a trip to the Charlottenburg Palace, not too far away. That will certainly make an unforgettable day in Berlin. What to order at Rogacki German Deli: Liver and blood sausage plate, or a selection of cured, smoke and fried herring or as many different “Head Cheese” (kind of terrine) versions you can get. Or ALL of the above.